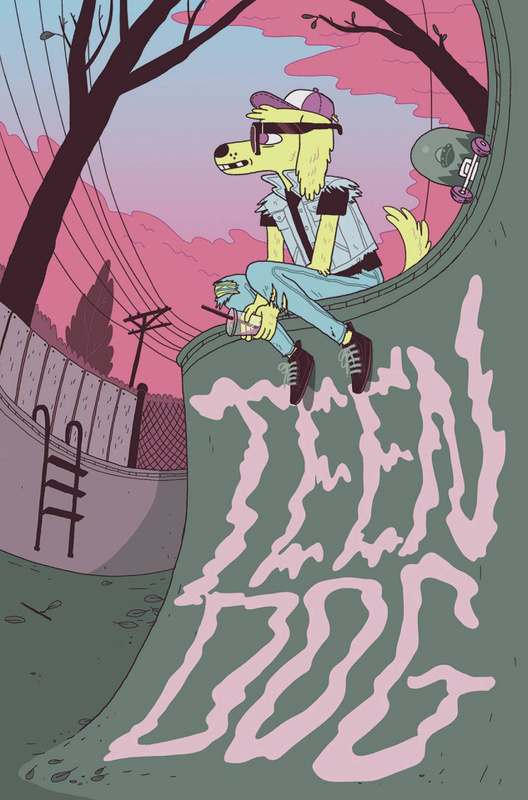 WHY WE LOVE IT: TEEN DOG is John Hughes meets '90s Nickelodeon cartoons, two of our absolute favorite things. It's a totally awesome adventure that stars the canine that spun out of Jake Lawrence's web comic Time Cowboy and kickflipped his way into our hearts. WHY YOU'LL LOVE IT: How was your high school experience? TEEN DOG is high school if it didn't totally blow, and instead totally ruled the most. Teen angst and whimsical adventures collide in this new series reminiscent of Doug, Saved By the Bell, and Kim Possible. WHAT IT'S ABOUT: Skateboards, football games, prom...your teenage years have got nothin' on the raddest dude that's ever graced a denim vest. Written and illustrated by Jake Lawrence (Time Cowboy), join Teen Dog and his best friend Mariella as they tackle typical teen life with a manic twist. Growing up is an adventure, and you might as well rock it!